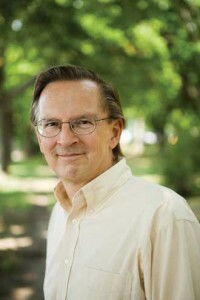 Novle Prize in medicine winner Jack Szostak. Photo by Jussi Puikkonen, courtesy of Massachusetts General Hospital. He got into McGill in 1968 at the age of 15. Four years, two scholarships and a botany prize later, Jack Szostak had graduated with a BSc in biology. This week, he capped a remarkable academic career with a Nobel Prize in medicine, shared with two other American researchers. Szostak, who was born in London, England, but was raised in Montreal’s West Island, won the prestigious prize for research that showed how organisms rely on a particular enzyme to protect themselves from losing genetic material during cell division. Later studies linked this enzyme to cancer and aging-related maladies. Normally the enzyme, telomerase, gradually shuts down as a body ages; when it runs amok, cancer can result.